By Olivia Raimonde . Published on March 04, 2019. 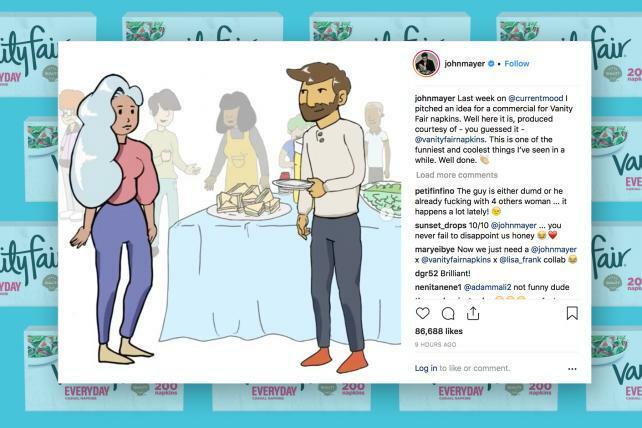 Apparently, Vanity Fair napkins--which is not affiliated with the Condé Nast magazine, or the lingerie brand--liked it so much that they produced the commercial and posted it to their Instagram with the caption: "Brilliant idea courtesy of #NapkinInfluencer and Creative Director, @johnmayer. 🙌"